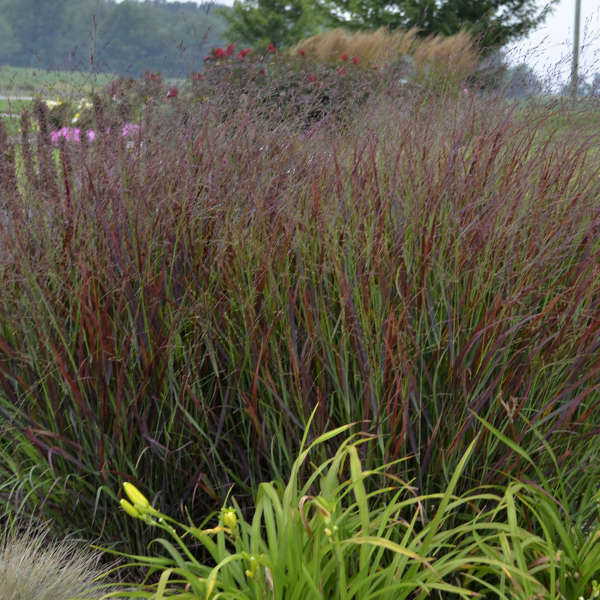 Panicum virgatum 'Cheyenne Sky' PP23209 | Walters Gardens, Inc. 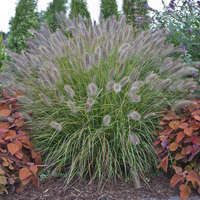 Absolutely ideal for growing in decorative containers, this hardy Red Switch Grass is a perennial substitute for Pennisetum 'Rubrum'. 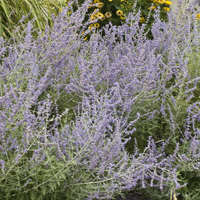 Measuring in at just 3ft (2ft before blooming), 'Cheyenne Sky' forms a tight, vase-shaped clump of blue-green foliage that begins turning wine red in early summer. 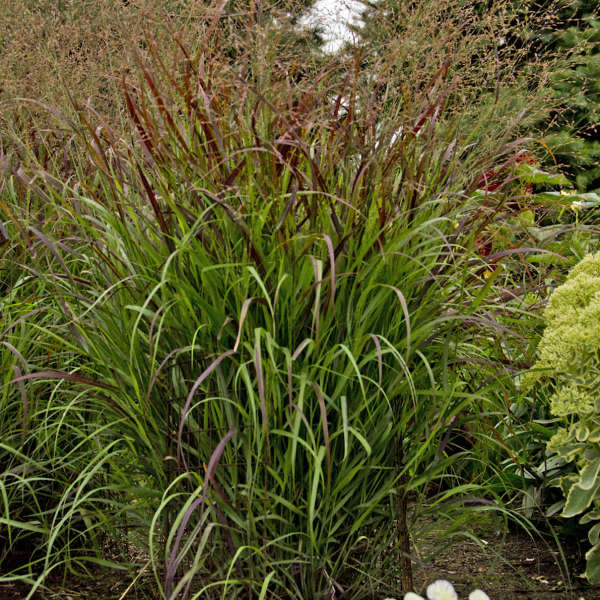 By late summer, nearly the entire clump is drenched in color and is topped by matching wine-red flower panicles held just above the foliage. 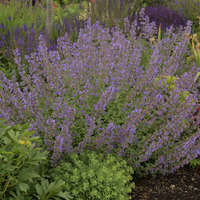 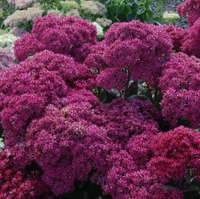 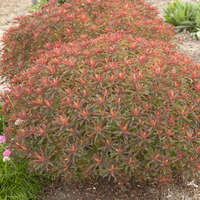 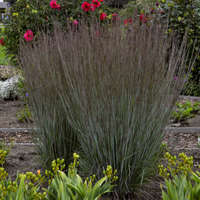 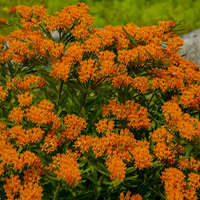 It makes a dynamite specimen plant and is even more eye-catching when planted en masse. 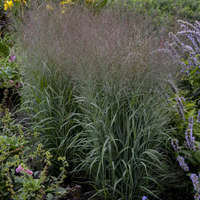 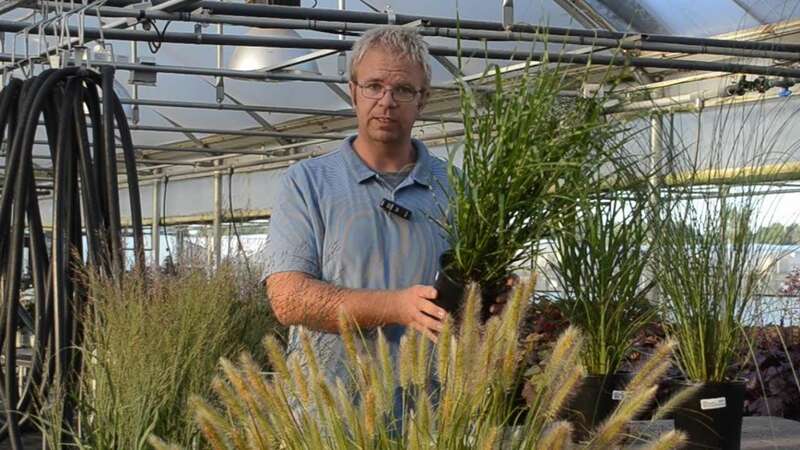 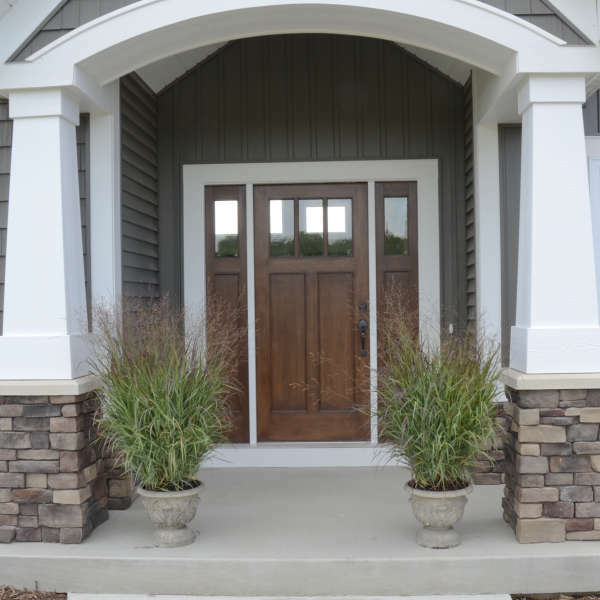 The PRAIRIE WINDS® Trademark is owned by Walters Gardens, Inc.